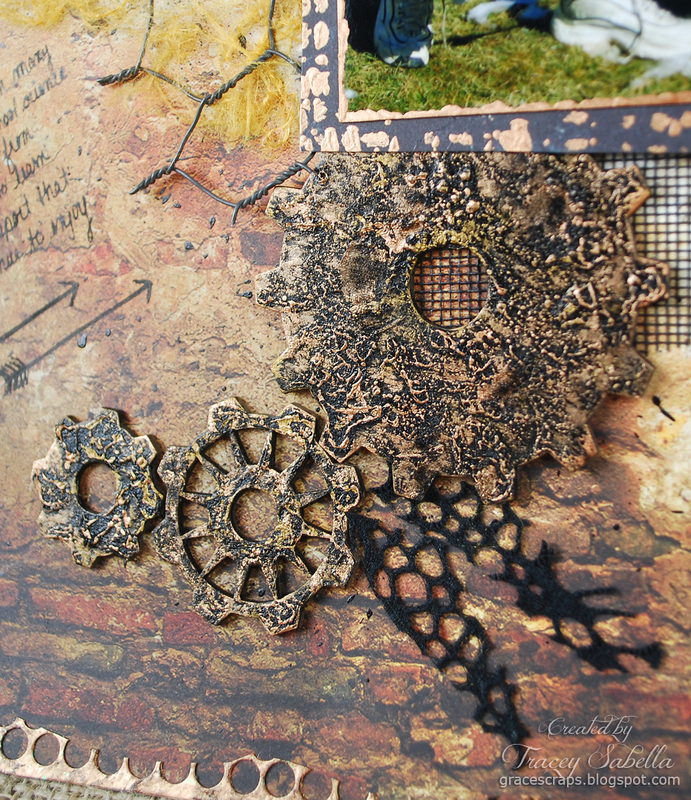 It's Tracey here to share a bonus project I created for Once Upon A..Sketch featuring Leaky Shed Studio Chipboard. Our son issued a challenge to me a while back when he asked if it was possible to create a page without any flowers. So, I took a decidedly masculine approach for this layout and gasp - no flowers. 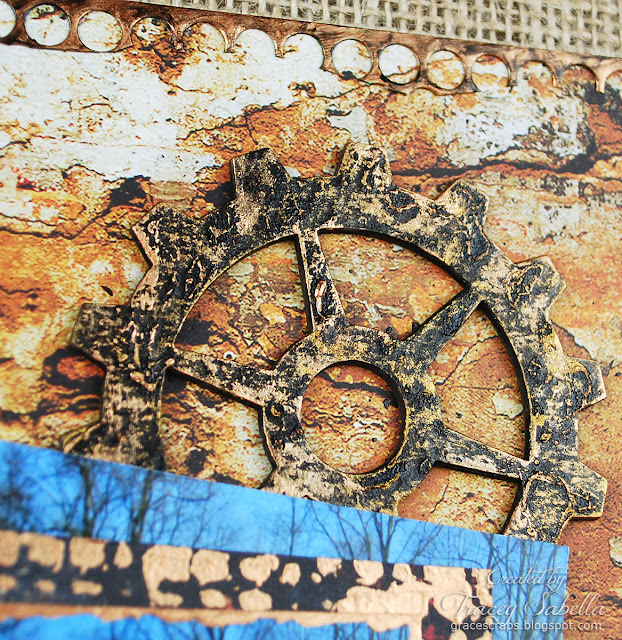 I used gorgeous Kaisercraft Basecoat paper and Leaky Shed Studio Chipboard Gears. 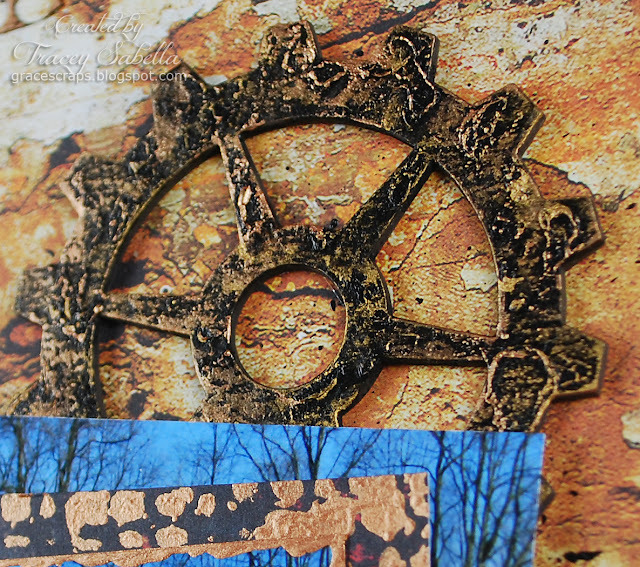 I painted the gears black and used my heat tool while wet to bubble and distress. I rubbed Grecian Gold Rub'n Buff then copper metallic pant over the bubbled raised areas to took like rusty metal. This paper has such a gorgeous distressed look, but I added a bit more by splattering black paint across the page. To embellish, I chopped up May Arts Black Webbing, vinyl screening, punchinella, and chicken wire. The title is handwritten, and I've doodled arrows around my journaling. 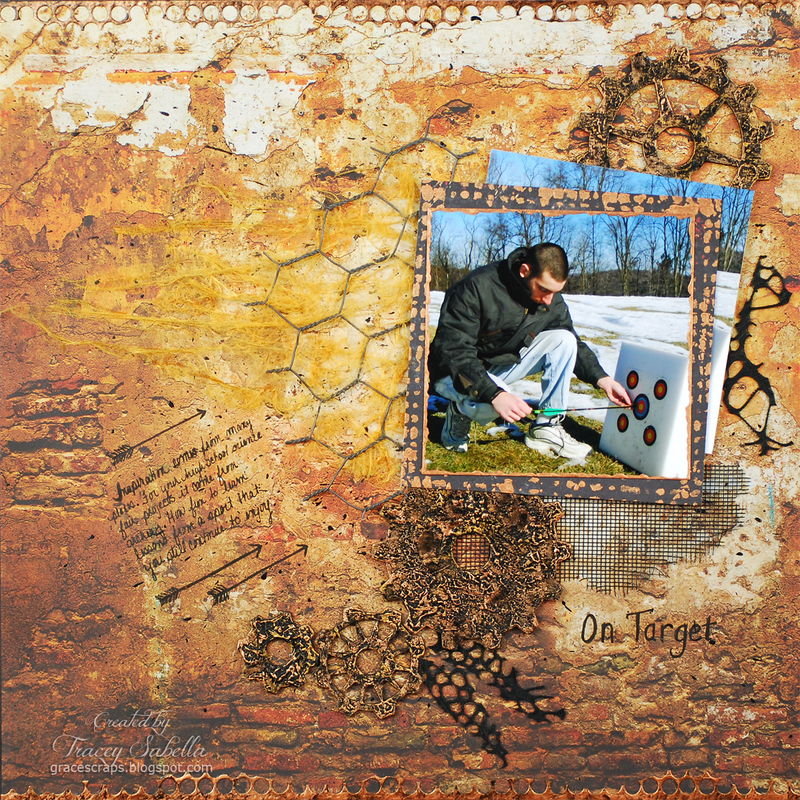 The photo mat is stenciled with more of the copper metallic paint as well as roughly painting the photo edges. I've also used this paint on the punchinella to edge the top and bottom of my layout. A bit of black paint was rubbed lightly onto the painted punchinella. 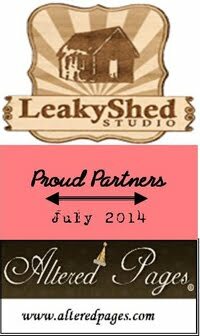 Thanks for stopping by Leaky Shed Studio today! This is sooooooooo gorgeous! LOVING the colors and those gears!!! Love the no flowers look and what you did to those gears is fabulous!! !